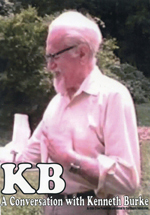 The primary and secondary bibliographies on Kenneth Burke are the culmination of the work of many people. David Blakesley collected the original bibliography, gaining permission from several sources. Permission to draw from the secondary bibliography constructed by William H. Rueckert and published in Critical Responses to Kenneth Burke, 1924-1966 (Minneapolis: University of Minnesota Press, 1969) was graciously provided by Professor Rueckert, the editor of this important volume. Permission to draw from Richard H. Thames's "A Selected Bibliography of Critical Responses to Kenneth Burke, 1968-86" was generously granted by the University of Wisconsin Press, publisher of the volume in which it appeared, The Legacy of Kenneth Burke, edited by Herbert W. Simons and Trevor Melia (Madison: U of Wisconsin P, 1989). New and updated entries have been added here by David Blakesley and Clarke Rountree, with the research assistance of Christopher Milazzo, Jerald L. Ross, Kate Howard, and Marcie Abney. The entries in this bibliography have been written to conform, in most cases, with the documentation style of the Modern Language Association. To make the researcher's task easier, additional information has been added when it might prove useful. [Bracketed] information points the reader to other works in which the particular work has been reprinted. Entries in this secondary bibliography have been arranged alphabetically by the author's last name. Both the primary and secondary bibliographies are regularly updated. If you have information on additional publications suitable for this list, please contact KB Journal.